In November I introduced our US partner, Rick's Hi-Desert Customs (RHDC). I also posted some photos of the latest collaboration between Ol' School Garage and RHDC i.e. the restoration of a 1970 Dodge Challenger SE. RHDC is providing the manpower at their workshop located in Hesperia (an hours drive south-east of downtown Los Angeles) while Ol' School Garage is financing the purchase of all parts and services. Aimed squarely at the high end of the US resto-mod market, the Challenger will be offered for sale at Mecum's Dallas muscle car auction in April. 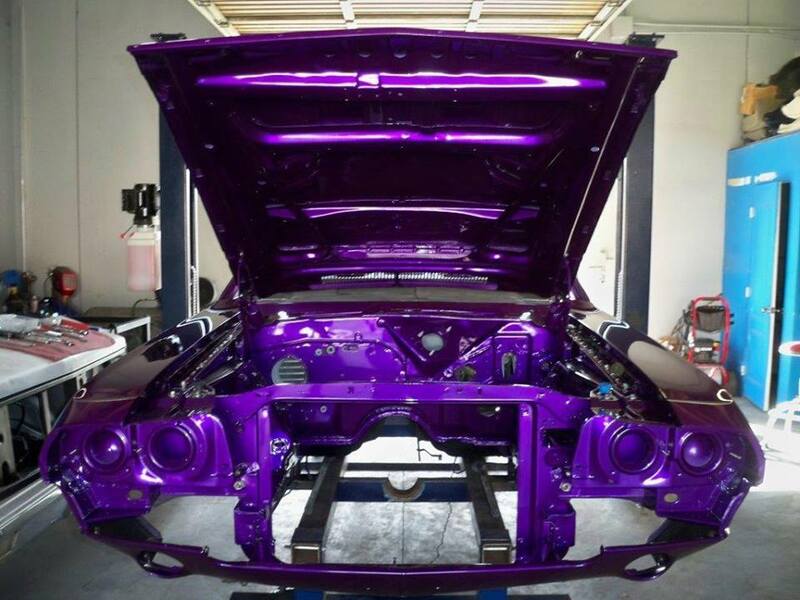 No expense has been spared on this restoration and significant features include a brilliant House of Kolor Plum Crazy paint job, custom leather interior, high-performance 440 ci crate engine, TCI Streetfighter transmission, Vintage Air air-conditioning and a disc brake conversion. Here are some progress photos.